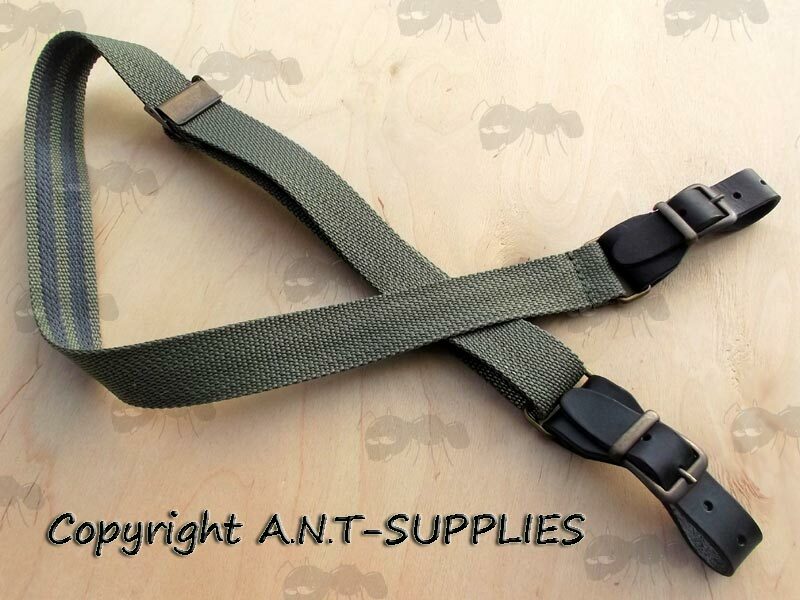 1 3/8 inch / 30mm wide, with tampered black leather ends down to 3/4 inch / 20mm to fit swivels. Brass buckles, rings and length adjuster. Adjusts from 20 to 38 inches (51 to 97cm) long. 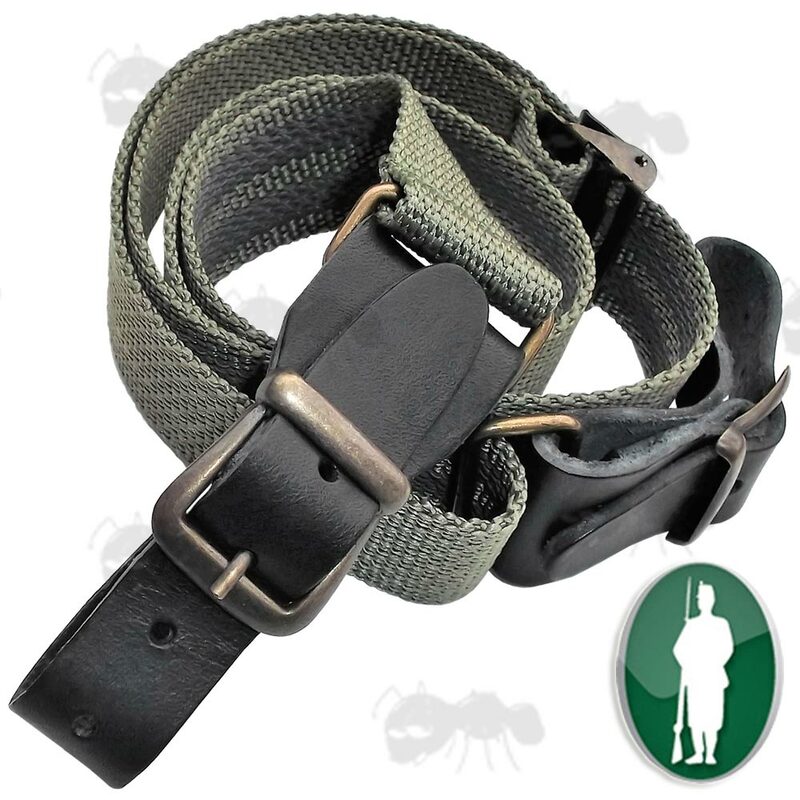 Strong, durable webbed sling that will take the weight of even the heaviest rifles once firmly secured onto the swivels of your gun. The underneath of the webbing has two lines of rubber for a secure shoulder weld.